An understanding of the effects of cancer therapy on the heart has become increasingly important for cardiologists in recent years. As the efficacy of cancer therapies improves, the population of cancer survivors increases, creating a new population of patients at risk for late toxicity of cancer treatment. Moreover, many targeted cancer therapies are associated with cardiovascular toxicity through on-target or off-target effects, and the rapid expansion of this exciting field has seen a parallel growth in new cardiotoxicities. Cancer therapies may be associated with QT prolongation, atrial fibrillation, myocardial ischemia, hypertension, or the metabolic syndrome, but heart failure and left ventricular (LV) dysfunction still account for a majority of patients seen in many cardio-oncology clinics. 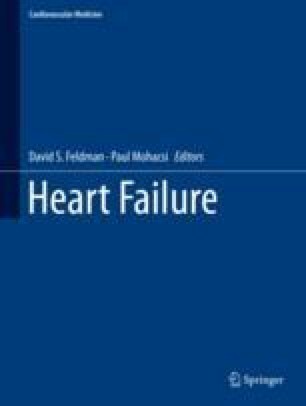 An understanding of the indications for various cancer treatments, the mechanisms by which they cause myocardial damage, and appropriate screening and management strategies is essential for general cardiologists and heart failure specialists who provide care to this complex population. National Cancer Institute. Common Terminology Criteria for Adverse Events (CTCAE). https://ctep.cancer.govprotocoldevelopmentelectronicapplicationsdocsCTCAEvQuickReference.x.pdf. 2017. pp. 1–147.